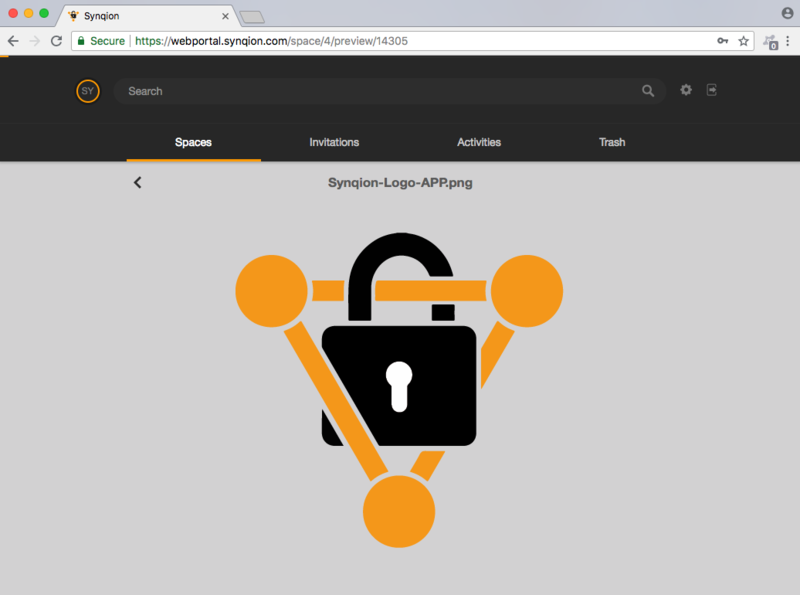 Discover our new Synqion web client (beta). 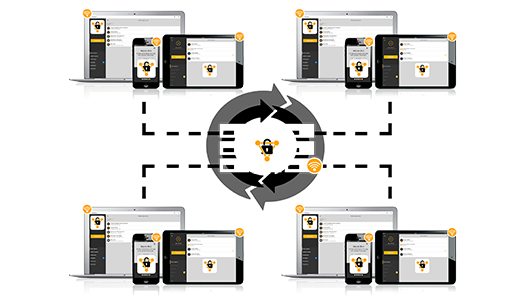 Test our free beta web client! Use the following button to log in to the new WebClient with your username and password. 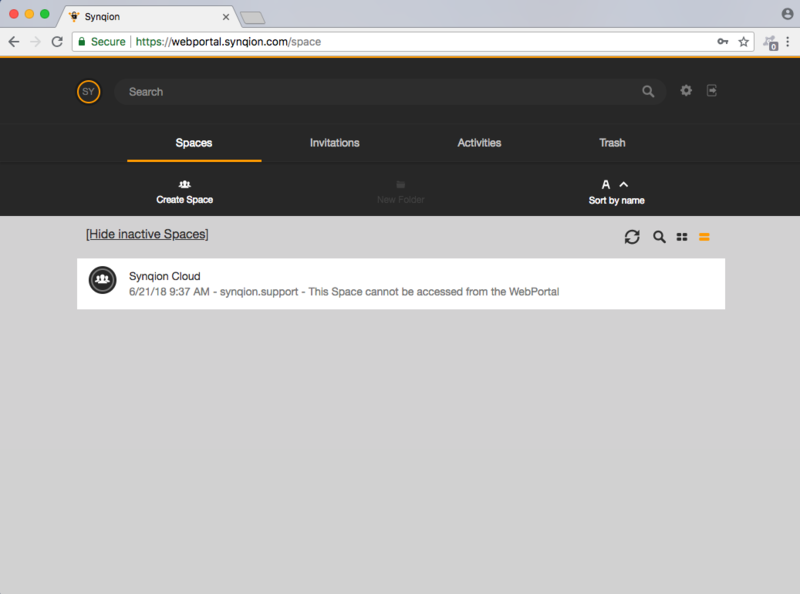 Registered Synqion users can now enable and access a Synqion client using a web browser. 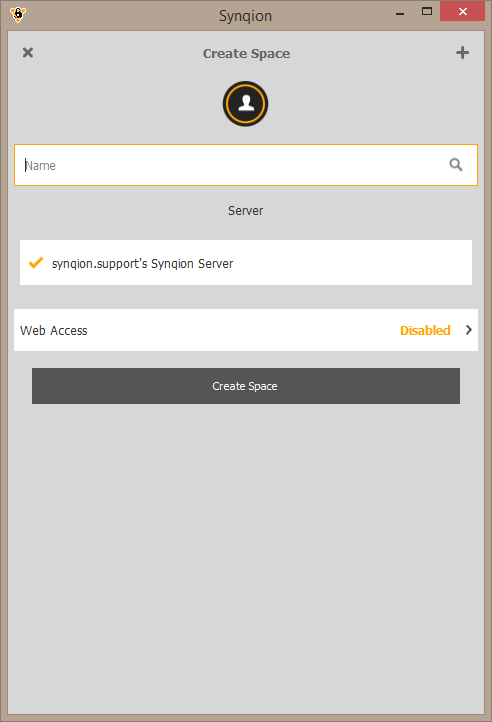 Once we have activated web access for your username, you can begin taking advantage of Synqion client web browser access. A local Synqion installation is not required. 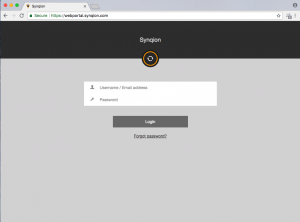 Simply log into the web portal using your existing Synqion username and password and begin accessing your web-access-enabled data. 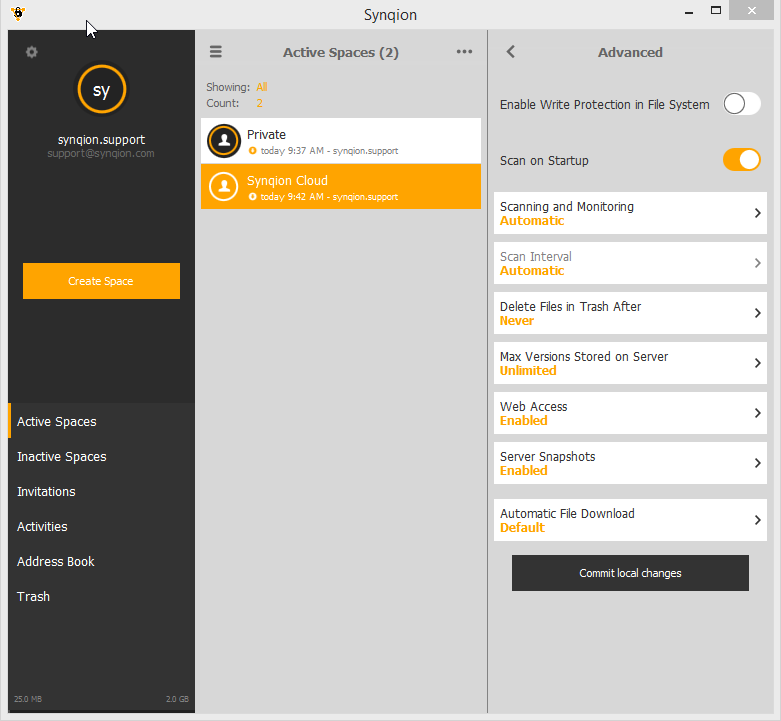 With the Synqion web client, you can access your web-access-enabled files quickly and easily from any Internet browser. Just like any new installation, the web client contains no active Spaces after your initial login. However, once logged in you can activate your web-access-enabled Spaces, create new Spaces, download individual files and sync the changes using drag and drop, view pictures and PDF documents directly in your browser and also receive Space invitations from other users (*the ability to accept the invitation and join the Space using the web client depends on the invitation sender’s configured web access settings for that Space). Use the web client just as you would use any normal desktop or smart phone TeamDrive installation. Let’s Not Forget, Security Comes First! Our web portal servers are located in the USA and, to add another layer of security, the files are not even stored on the servers! Files accessed using the web client are decrypted and re-encrypted during runtime and only after you have requested to download them. Additionally, web access is, per default, disabled for all Spaces. Space administrators must individually enable web access for each Space. Space administrators can enable web access in the Space information window by selecting “advanced” and selecting “web access”. 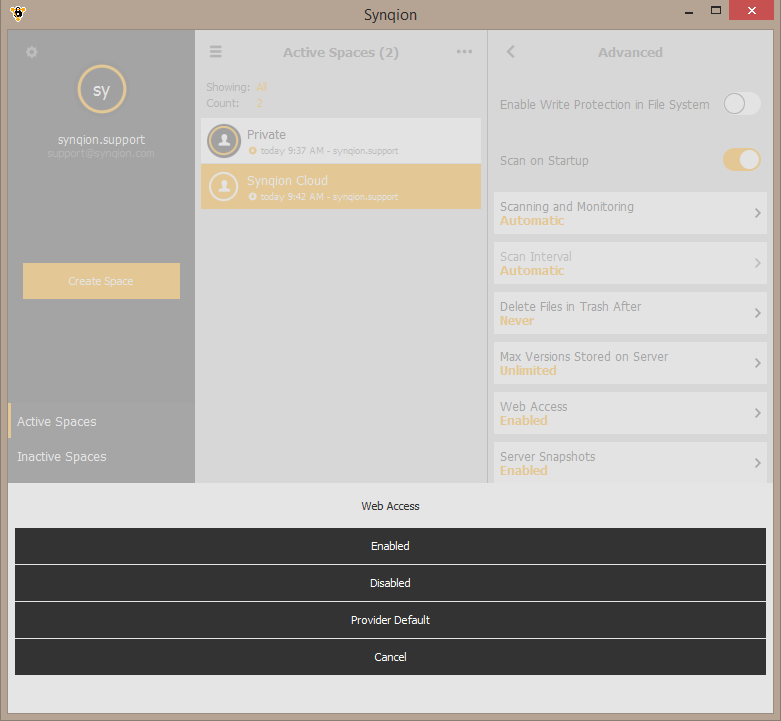 Web access can only be enabled using Synqion client versions 4.3.2 and above. The ability to enable and/or disable web access can be managed. Companies and cloud service providers can globally, and/or for individual users, enable or disable web access. In all other cases, individual users have the power to enable or disable web access for their Spaces. When creating new Spaces you have control over whether or not the Space should be available using web access or not. 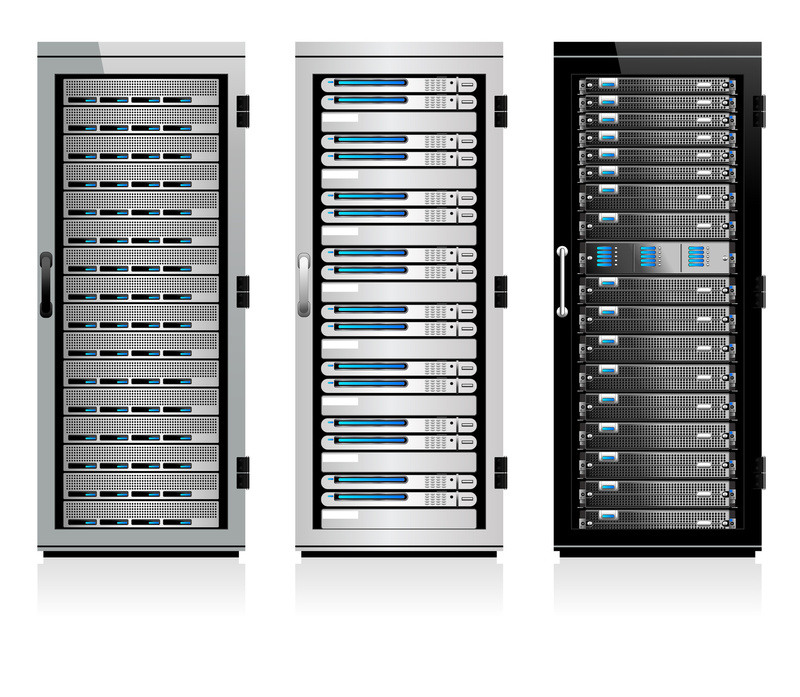 Enterprise and SME customers have the choice of running their own web portal server, maintaining full control over all web access. The option to configure 2-factor authentication as an additional layer of protection against unauthorized access is also available. 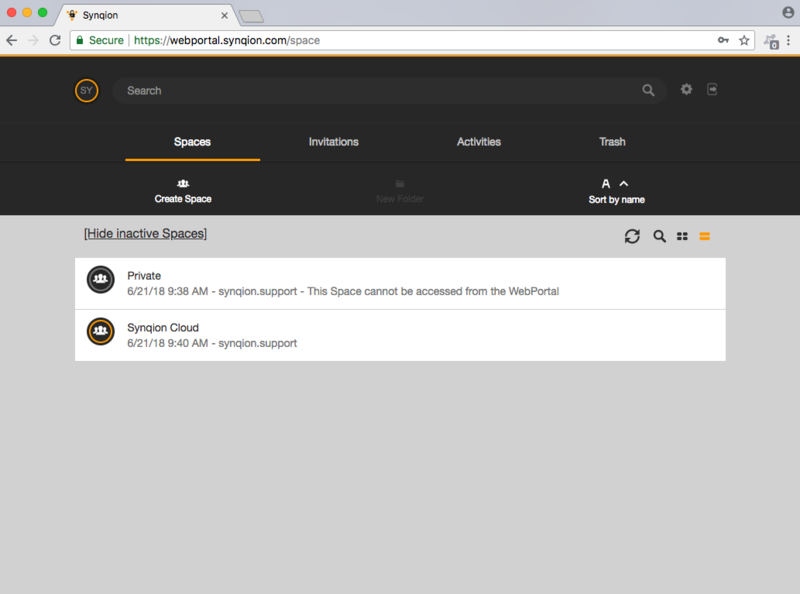 Web access can only be enabled for Spaces using the Synqion cloud. To enable web access for WebDAV and Synqion Personal Servers, a server tenant is required. Please contact us for more information. We would be happy to advise you and make a suitable offer.